I've said it once and I'll say it again I feel blessed to live in an area with such amazing farmers and food makers. From bread to salsa to chocolate to jams and more there are so many great, local products out there. That's why I love finding out the winners of the CT Specialty Food Association's annual awards competition. I always see things I haven't tried and it gives me things to search for on my next market trip. Well, it was little over a week ago that the CT Specialty Food Association held it’s eleventh Product Awards Competition in Plantsville. 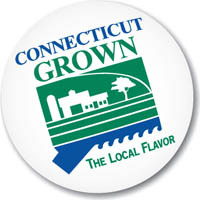 There were over two hundred specialty food items from Connecticut-based manufacturers entered into 36 categories. There was a panel of 21 judges consisting of local media personalities, food writers, chefs from the CT Department of Agriculture’s Farm-to-Chef Program, and wine specialists. 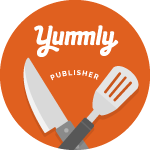 Products were scored on overall taste/flavor, consistency/texture, appeal, and color. Here are a few category highlights. You can get the full list of winners on Fairfield Green Food Guide. I am not as familiar with as many winners this year as I have been the past couple of years. Guess that means it's time to get out there and sample! It's tough job but somebody has to do it. Anything on the winner list peak your interest?